Photo Courtesy of Suzy's Artsy Craftsy Sitcom. 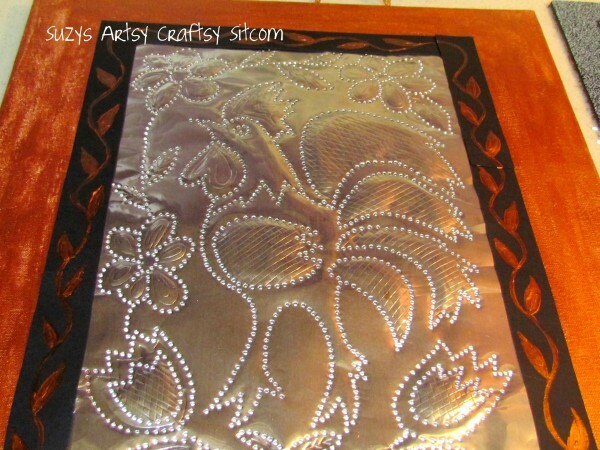 Make your own punched tin picture with an aluminum cookie sheet from the Dollar store. Check out Suzy Meyer's Faux Punched Tin Tutorial.